In 2005, an excellent book about the first days of the colony of Zikhron Ya'aqov was published. (Bahur, I. 2005. A Cracked Bell). From it, some insights into the era and the colorful character of Mordechai Bonshtein can be found. With permission of the author, some parts were freely translated into English from the original Hebrew text. Background according to Bahur 2005. To better understand pioneers like Mordechai Bonshtein, their motivation for whatever they did, needs to be explained in the context of the times. The story of the first pioneers of Israel is the story of people looking for a good life, normal, possibly free of extreme ideology, and committed to life. This is the story of the pioneers of the town of Shomrom, a story of people struggling for fulfillment of their wish to live a normal life in Israel and how they achieved it. Additional historical background for immigration. In 1878, a war between Russia and the Ottoman Empire ended where the victorious Russians wished to weakened the empire further by cutting territories from it. On signing the peace treaty, the Russians demanded that Rumania (an autonomous principality within the Ottoman Empire) would be independent. Romania’s Jews participated in the political process to create Rumania as a liberal country and themselves as equal citizens. The traditional isolationism of European orthodox Jews did not fit those who refused to wait for the messiah for salvation. They wished to be free people. Meanwhile, during this process, Rumania cancelled serfdom and was flooded with unemployed serfs. Unemployment increased, agriculture production decreased, and the country entered an economic crisis, where the Jews, mostly not farmers, were identified as the cause of the problem. 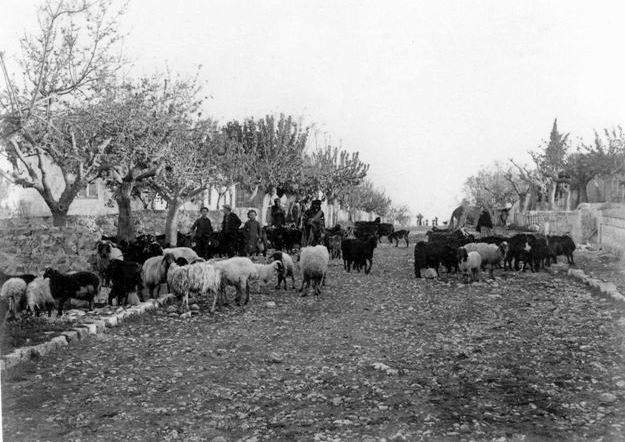 the early days of Zikhron Ya’akov at the end of the 19th century. After several years of political turmoil, many Jews reached the conclusion that they have no future in Rumania; their property was reduced, anti-Semitism increased , and they felt insecure. Consequently, many considered immigration from Rumania as a practical solution to save their lives and property. Mordechai Bonshtein was the dominant figure of the Bonshtein family and a colorful personality. Born in 1858 in the Ukraine (part of Russia at that time), his education was only the basic studies for children because Russian law limited the number of Jews allowed to continue with an education and economically discriminated against Jews. As a young adult, he had hard time making a living in Russia. Therefore, he immigrated to Rumania and married Haya-Rachel Yakobson, a Jewish native of Romania. To make a living, he leased large cereal fields and became a cereal merchant and producer and became experienced in farming, an occupation that most Jews did not enter. His timing for immigration to Rumania was unfortunate. The quality of life in Rumania was poor for reasons explained above. Mordechai Bonshtein and his father-in-law Shlomo Yakobson were tired of life in Romania and decided to immigrate, this time to Erez Yitzreal (Yiddish for Palestine, as it was known then) instead of looking for another foreign country as a destination. His new wife refused to emigrate from her homeland, but gave in under pressure from her husband and her father. 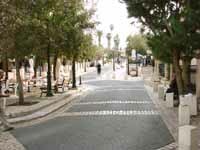 Hameyasdim Street in 2007. A thriving tourist attraction. View facing south. They arrived to Palestine in 1882 with the first wave of immigrants (Aliya Rishona as this moment was later known) and settled in mountainous Rosh Pina (one of the first Jewish settlements in Palestine). Mordecahi did not like the mountain colony. He was a relatively experienced farmer compared to the other immigrants that did not farm in Romania. In Rumania, he was used to large wheat fields, open land, and plentiful water. The rocky terrain of Rosh Pina, with the lack of water, became a source of stress and power struggle among the amateur and very religious and zealous farmers that were from the city of Moynesht. 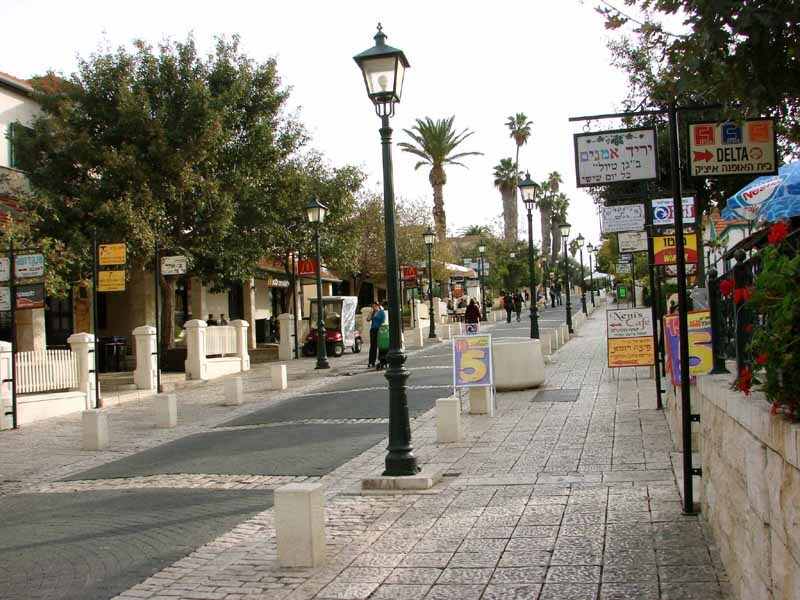 Among them, Mordechai felt like an alien in Erez-Israel. Mordechai was in a receptive mood when Sheid, the chief clerk of the Rothschild's Palestinian holdings, offered him land in Tantura, an Arab coastal village about 10 km northwest of Zikhron-Ya’akov). In his offer, he did not mention the prevalent fever there and the type of the land, but promised him a carriage and two horses as a bonus. 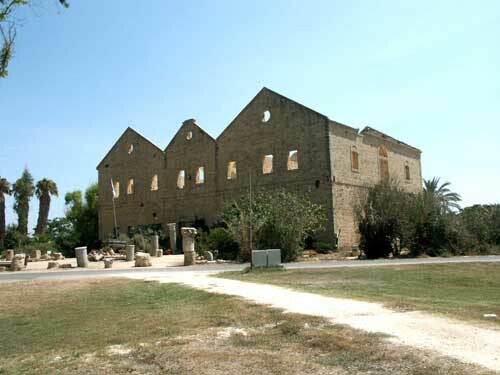 Earlier (around 1880), the pioneers of Zikhron-Ya’akov bought 30 hectare in Tantura close to the malaria-bearing Anopheles mosquitoe in the marshs. Eventually, the land was transferred to the Baron Rothschild, who gave it to the unmarried workers coming with the original families of settlers from Romania. The living conditions were too hard for these “new farmers”, they had no families for support, and they could not survive among the Arabs. Eventually, all returned to Zikhron-Ya’akov. For two years, the land was leased to local Arabs. Ottoman law dictated a legal holding to anybody cultivating three consecutive years. The Baron did not want to lose his land holdings and decided to settle his own serfs there. the beach. Photo provided by the magazine Teva Hadvarim. Mordechai Bonshtein and Shlomo Yakonson travel to Tantura from Rosh Pina to see the “promised land.” The Baron’s administration offered to build a house for them and hinted that in the future they may move to Zikhron-Ya’akov, which they liked more. Both families left Rosh Pina and settled in Tantura, apparently in 1885. The Baron’s administration gave them a husha (mud hut) and added two rooms and two kitchens. In one room, Haya and Mordechai lived and in the other room lived his father-in-law Shlomo Yakobson, his wife and two daughters. The land of Mordechai was composed of small scattered parcels bordering the parcels of the Arabs of Tantura. His neighbors pushed their borders into his land and cultivated part of his land. Mordechai searched for a way to hold his land without a constant conflict with his neighbors. He taught himself Arabic and cultivated excellent relations with his Arab neighbors and the Turkish governor in Caesarea. The Muslim governor liked alcohol (forbidden for Muslims) and did not like to drink alone. Mordechai Bonshtein was a good drinking partner, in his home there was always an extra bottle of distilled alcohol. Little by little, using good-neighborhood tactics, the help of the governor, and the alcohol, Mordechai got back all his land as his own. The local Arabs deeply respected him and wished to make him the village Muchtar ("Council of the Elders of the Village"). Later, the chief administrator of the Baron’s business enterprises, paid a visit to remote Tantura. He learnt that Mordechai had rented a house in Zichron-Ya’akov and moved his wife and family there, who were constantly sick from the fever from the marsh and he stayed alone in Tantura. 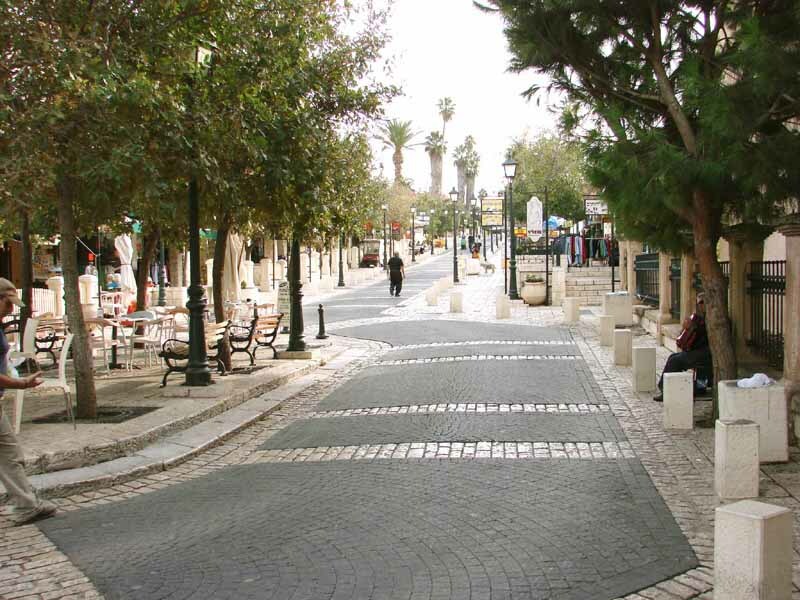 The administrator was upset and afraid that Mordechai will also move to Zichron-Ya’akov. He threatened him about the consequences of leaving, but also made a promise to build a second floor to his home. Mentally, he re-enforced the conviction of Mordechai about the vision of the backward village of Tantura becoming a city with an international port and industry. The Baron wished to build a port in Tantura for exporting wine. He told Mordechai that the future of the city depended solely on him. If he leaves, the city will not be built and the port will not be constructed. The rosy promises, the desire for a better future, the hidden threats, and blocking the possibility to move to Zikhron-Ya’akov, all of these convinced Mordechai to stay in the fever-afflicted village and bring his family back. As a hard worker, little by little he created a large herd of cows, goats, and sheep, a large cow stable, and even cultivated pigeons; his agricultural estate flourished. One of the dreams that motivated Mordechai to stay was the future of Tantura as an industrial town with him at its center. Central to this vision was the construction of a glass factory in Tantura. Meir Dizengof, a chemical engineer who had studied in Paris, was offered by the Baron to construct a glass bottle factory for the wine industry that the Baron were struggling to cultivate in nearby Zikhron-Ya’akov. 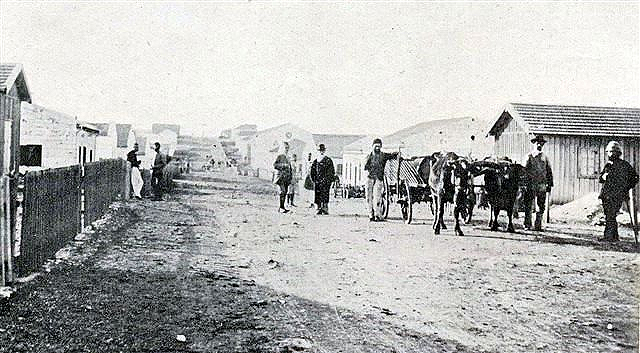 In 1891, Dizengof arrived to Palestine. In the city of Hebron (south of Jerusalem), he learnt about glass making from the local bottle-making plant, checked the minerals of the Dead Sea, and finally decided to build the factory in Tantura near the sand dunes that is the raw material for glass. 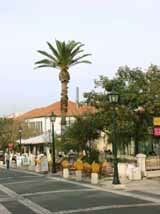 Tantura was also close enough to Zikhron-Ya’akov to obtain services from the colony, but far enough from the oppressive administration of the Baron. In 1892, a construction boom started in the sleepy village and the glass factory was built very quickly. They built ovens, a laboratory, production halls, dormitories for the workers and the managers, a small synagogue, a library, and a club. Soon, a French glass specialist arrived, dozens of workers were hired, a Jewish captain was hired, and three boats were purchased to move the raw material and bottles. the port of Dor (King Salomon's port). Dizengof was very enthusiastic about training the workers and starting production. 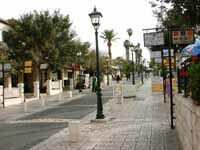 For the immense activity that occurred in Tantura, Mordechai felt that Tantura will soon be an international port city. After a year of construction of the factory, no great success was evident. The glass was not clear or strong. Dizengof, the general manager, did not have close relations with Mordechai Bonshtein. But Mordechai was the only Jewish neighbor around that could offer a family atmosphere and good breakfast and he used to visit him from time to time. The factory failed and was abandoned in 1895 after three years of continuous failure to produce strong and transparent glass. The local sand did not have sufficient minerals for production, the glass was cloudy, and the bottles became black and disintegrated. The Turkish administration did not give a license to drain the mosquito-infested marsh and the workers continue to get sick and die from fever. Other bad luck occurred when the three-boat fleet of the factory set sail for the port of Haifa (40 km north of Tantura) and sank on that voyage. The deep water port was never built. Finally, the order came from Paris to close the factory and the workers left. Dizengof left Palestine, but Mordechai Bonshtein stayed, again alone in the Arab village as if the construction boom had never happened. Mordechai finally realized that his dream of an industrial city with a large port was unrealistic. Even the chief administrator could not convince him to stay any longer. Ten years after he settled in Tantura, Mordechai left the village and moved to Zikhron Ya’akov for good.